These large Swallows fly VERY rapidly and feed in midair. This female caught a bug in flight as I watched. It looked like a tiny aerial acrobat. This entry was posted on Friday, August 14th, 2015 at 11:27 pm. 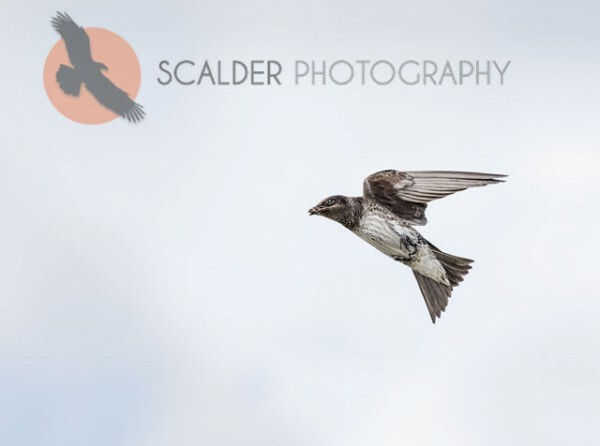 It is filed under Animals / Wildlife, New Images and tagged with bird in flight, feeding, Purple Martin, Purple Martin in flight, scalderphotography. You can follow any responses to this entry through the RSS 2.0 feed.